Who has never dreamed of having a close encounter with a dolphin? This excursion offers the opportunity to interact with these fascinating mammals in the splendid setting of the Caribbean Sea, for an unforgettable experience! We leave by coach for Anthony's Key Resort, and from there we go across the lagoon by speedboat to Bailey's Key. On this enchanting tongue of white sand we can enjoy the sun's warm embrace or the shade provided by the trees surrounding the beach. 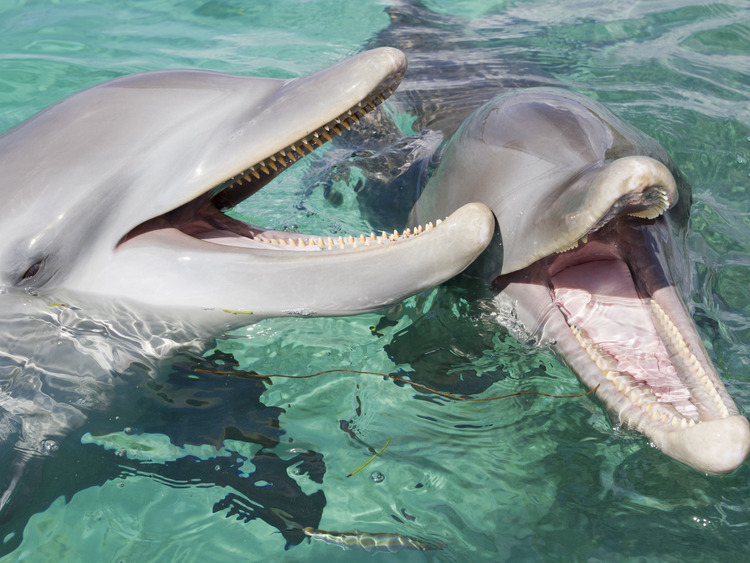 We have the opportunity to enjoy a close encounter with the dolphins in their natural habitat. Guided by qualified instructors, we wade waist deep into the crystalline Caribbean waters, and the dolphins come close to greet us. Interacting with these extraordinary mammals is a thrilling and enriching experience for the few individuals who are fortunate enough to have such an opportunity.